We have invented a new science of B2B customer insight for product innovation, with a suite of integrated product development training and software services. Now companies like yours can optimize the entire product development cycle with the world’s leading B2B methodology. We train product development teams in our proven techniques to produce more innovative B2B products. They learn how to analyze and understand their markets better, de-risk and accelerate their projects, and launch new products with greater success. 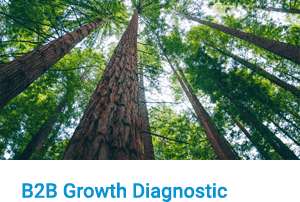 This is your path to profitable, sustainable organic growth. Today, most B2B product innovation fails due to dismal front-end customer insight. Our groundbreaking New Product Blueprinting science of B2B customer insight completely reinvents how you understand customers’ needs and pursue new product initiatives. Today, 70% of our work is with Fortune 500 clients tired of high commercial risk and squandered R&D. Tomorrow, the methods we teach will be commonplace and obvious. 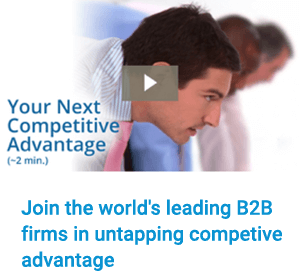 Why not leapfrog competitors and accelerate your growth now? The internet has revolutionized B2B product launches, offering exciting new channels and opportunities for introducing products. B2B Product Launch with LaunchStar software provides the tools for product development teams to apply greater focus and discipline to new product introductions. With our LaunchStar software approach, NPD teams learn how to launch the right products to the right markets using the right messages and media.